Cameron Winters is a freak. Fortunately, no one but her family knows the truth... that Cameron can read minds. For years Cameron has hidden behind a facade of normalcy, warned that there are those who would do her harm. When gorgeous and mysterious Lewis Douglas arrives he destroys everything Cameron has ever believed and tempts her with possibilities of freedom. Determined to embrace her hidden talents, Cameron heads to a secret haven with Lewis; a place where she meets others like her, Mind Readers. I received this book for free through the kindle ebook store, which is fine by me because it was awesome! I was really surprised to find that this title was originally published through smashwords because it was so polished and well written. I have found that most indie books, while good, do not always have the best syntax and grammar, but this one definitely did. Cameron is the main character and she has been hiding her whole life. moving from place to place, because she is different. Like her grandmother, she can read the minds of others. It isn't until she meets Lewis that she realizes that she can use these talents to help others instead of hiding in the shadows. But, as always, nothing is as it seems. Cameron's trust in different people are tested and the whole book leaves you in doubt over who is to trust in the novel. 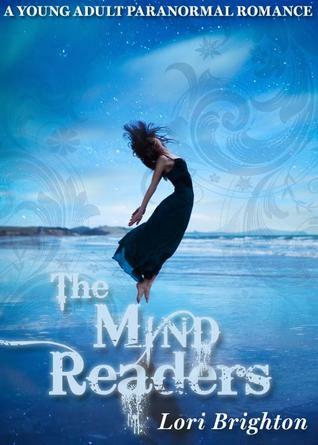 The Mind Readers is an amazing debut title by Brighton and it shows considerable potential for the series. I am excited to have been able to get this title for free and it is definitely worth a read! In fact, it is too good of a book to pass up a free read for (it's actually too good to be free in my opinion). Overall I give it four owls. As a child, thoughts of far-off places and adventure consistently kept Lori up late at night. After graduating high school, she came to the conclusion that there was no better way to seek adventure and nourish her love of history than to become an archaeologist. She went on to receive a degree in anthropology, but digging in the dirt during humid Midwestern summers wasn’t exactly as fun as she thought it would be. Instead, she went to work in an air conditioned museum where she spent her days surrounded by creepy Victorian animal mounts. Still, she wasn’t satisfied. Deciding the people in her imagination were slightly more exciting than the dead things in a museum basement, she set out to write her first romance novel. That book was soundly rejected. As was the next. Years went by and she began to wonder if she’d ever see her dream fulfilled. Until one day she came up with an idea for a book that brought together her love of history and adventure: a book now titled Wild Heart. Since Wild Heart's release, Lori has written Historical Romance, Contemporary Paranormal Romance and Young Adult. Lori currently resides in the Southern U.S., where she juggles her time between a husband, a son, a golden retriever, a cat and the many, many people in her imagination.